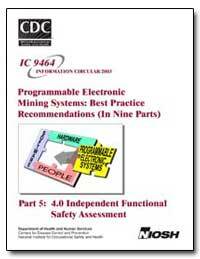 ABSTRACT: This report (Independent Functional Safety Assessment 4.0) is the fifth in a nine-part series of recommendations addressing the functional safety of processor-controlled mining equipment. It is part of a risk-based system safety process encompassing hardware, software, humans, and the operating environment for the equipment’s life cycle. Figure 1 shows a safety framework containing these recommendations. The reports in this series address the various life cycle stages of inception, design, approval and certification, commissioning, operation, maintenance, and decommissioning. These recommendations were developed as a joint project between the National Institute for Occupational Safety and Health and the Mine Safety and Health Administration. They are intended for use by mining companies, original equipment manufacturers, and aftermarket suppliers to these mining companies. 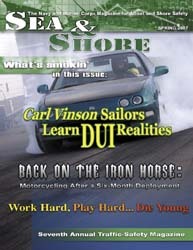 Users of these reports are expected to consider the set in total during the design cycle. CONTENTS Page Abstract . . . . . . . . . . . . . . . . . . . . . . . . . . . . . . . . . . . . . . . . . . . . . . . . . . . . . . . . . . . . . . . . . . . . . . . . . . . . . . . . . . . 1 Acknowledgments . . . . . . . . . . . . . . . . . . . . . . . . . . . . . . . . . . . . . . . . . . . . . . . . . . . . . . . . . . . . . . . . . . . . . . . . . . . 3 Background . . . . . . . . . . . . . . . . . . . . . . . . . . . . . . . . . . . . . . . . . . . . . . . . . . . . . . . . . . . . . . . . . . . . . . . . . . . . . . . . 4 1.0 Introduction . . . . . . . . . . . . . . . . . . . . . . . . . . . . . . . . . . . . . . . . . . . . . . . . . . . . . . . . . . . . . . . . . . . . . . . . . 5 1.1 Document conventions . . . . . . . . . . . . . . . . . . . . . . . . . . . . . . . . . . . . . . . . . . . . . . . . . . . . . . . . . 5 1.2 Scope . . . . . . . . . . . . . . . . . . . . . . . . . . . . . . . . . . . . . . . . . . . . . . . . . . . . . . . . . . . . . . . . . . . . . . . 5 1.3 General . . . . . . . . . . . . . . . . . . . . . . . . . . . . . . . . . . . . . . . . . . . . . . . . . . . . . . . . . . . . . . . . . . . . . 5 1.4 Purpose . . . . . . . . . . . . . . . . . . . . . . . . . . . . . . . . . . . . . . . . . . . . . . . . . . . . . . . . . . . . . . . . . . . . . 5 2.0 Key documents . . . . . . . . . . . . . . . . . . . . . . . . . . . . . . . . . . . . . . . . . . . . . . . . . . . . . . . . . . . . . . . . . . . . . . . 6 3.0 Definitions . . . . . . . . . . . . . . . . . . . . . . . . . . . . . . . . . . . . . . . . . . . . . . . . . . . . . . . . . . . . . . . . . . . . . . . . . . 6 4.0 Independent functional safety assessment plan . . . . . . . . . . . . . . . . . . . . . . . . . . . . . . . . . . . . . . . . . . . . . . 9 5.0 Independent functional safety assessment processes . . . . . . . . . . . . . . . . . . . . . . . . . . . . . . . . . . . . . . . . . 11 5.1 Preliminary independent functional safety assessment . . . . . . . . . . . . . . . . . . . . . . . . . . . . . . . . 11 5.2 Initial independent functional safety assessment . . . . . . . . . . . . . . . . . . . . . . . . . . . . . . . . . . . . . 12 5.3 Periodic followup safety assessments . . . . . . . . . . . . . . . . . . . . . . . . . . . . . . . . . . . . . . . . . . . . . 14 6.0 Assessing the safety file . . . . . . . . . . . . . . . . . . . . . . . . . . . . . . . . . . . . . . . . . . . . . . . . . . . . . . . . . . . . . . . 17 7.0 Management of change (MOC) . . . . . . . . . . . . . . . . . . . . . . . . . . . . . . . . . . . . . . . . . . . . . . . . . . . . . . . . . 17 8.0 Proven in use (service history) . . . . . . . . . . . . . . . . . . . . . . . . . . . . . . . . . . . . . . . . . . . . . . . . . . . . . . . . . . 18 References . . . . . . . . . . . . . . . . . . . . . . . . . . . . . . . . . . . . . . . . . . . . . . . . . . . . . . . . . . . . . . . . . . . . . . . . . . . . . . . . 19 Appendix A.—Typical agenda for independent functional safety assessment . . . . . . . . . . . . . . . . . . . . . . . . . . . . . 21 Appendix B.—Typical agenda for periodic followup safety assessment . . . . . . . . . . . . . . . . . . . . . . . . . . . . . . . . . 24 Appendix C.—Competence of persons . . . . . . . . . . . . . . . . . . . . . . . . . . . . . . . . . . . . . . . . . . . . . . . . . . . . . . . . . . 26 Appendix D.—Independent functional safety assessment checklist and worksheet . . . . . . . . . . . . . . . . . . . . . . . . 27 ILLUSTRATIONS 1. The safety framework and associated guidance . . . . . . . . . . . . . . . . . . . . . . . . . . . . . . . . . . . . . . . . . . . . . . . . . . 2 TABLES 1. Key documents used for these recommendations . . . . . . . . . . . . . . . . . . . . . . . . . . . . . . . . . . . . . . . . . . . . . . . . . 6 2. Recommended degree of independence . . . . . . . . . . . . . . . . . . . . . . . . . . . . . . .